PT Samudera Indonesia Tbk – SIG or known as Samudera Indonesia Group (IDX : SMDR) is a reputable and leading public-listed company in Indonesia, running business in shipping and integrated logistic services. 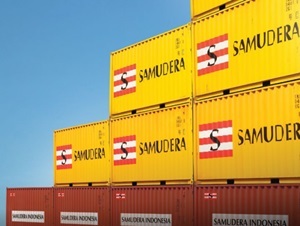 Together with its 40 subsidiary/affiliated companies, Samudera Indonesia Group has defined the following 4 business units; shipping (Samudera Shipping), agencies (Samudera Agencies), Logistics (Samudera Logistics), port operations (Samudera Terminals), and Property (Samudera Property). As of December 2017, Samudera Indonesia is 57.98% owned by PT Samudera Indonesia Tangguh, 14.21% by PT Ngrumat Bondo Utomo, 0.44% by management and 27.37% remaining shares by public. According to PT Samudera Indonesia Tbk Annual Report 2017 as cited by JobsCDC.com, Samudera Indonesia Group recorded total revenue in 2015 amounted to USD 431 millions or increased by 6% compared to the year 2016 amounted to USD 406 millions. As of the end of December 2017, Samudera Indonesia Group’s total assets amounted to USD 588.8 millions, up 2.95% from USD 571.9 millions at the end of December 2016. Engineering (Mechanical, Industrial, Civil, Electrical, Ship, and Marine). Management (Business, Marketing, Finance, Logistics, Transportation). Fresh graduated or maximum 1 year working experiences. Actively involved in campus organizational activities. Strong academic results with minimum GPA of 2.75 out of 4.00 grade scale for engineering, 3.00 out of 4.00 grade scale for non-engineering. Dynamic, Fast learner, ambitious, neat. Willing to be placed in all Samudera’s Business Activity and Networks across the nation. Good interpersonal skill and attitude. Skilled in using MS Office.